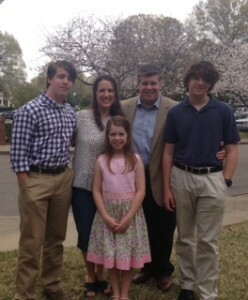 Kelly Fernandez lives in Memphis with her husband, Tony, and their three children, William, Mac, and Libby. She has a B.S. in Education with a Therapeutic Recreation emphasis. Before beginning homeschooling 10 years ago, she worked with groups of children and adolescents in a therapeutic setting. She is passionate about nature and science and is looking forward to a fun-filled year teaching life science.